Simple to use, compact multifunctional tractors with superior agility, reliability and low running costs, offering the perfect solution for a wide range of applications. The JOKER range consists of 2 models: Joker 65 (62 hp/46.5 kW) and Joker 75 (72 CV/54 kW). All models are available as 4 wheel drive versions. 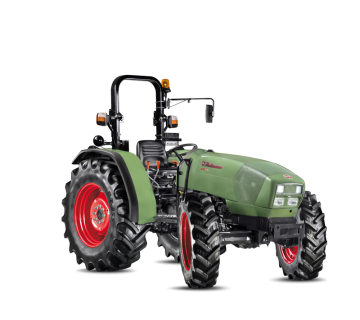 The extraordinary versatility of these tractors makes them ideal for hay-making, livestock management and primary tillage with unparalleled productivity. 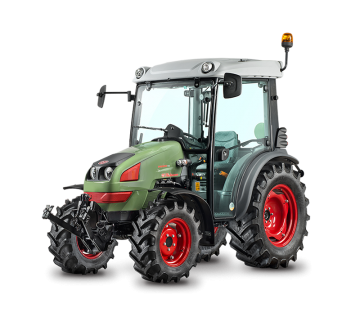 JOKER tractors are powered by SDF Series 1000 Euro III engines, designed to work tirelessly for thousands of hours with low running costs and limited maintenance times. These liquid-cooled, three cylinder simple turbo and turbo intercooler units are engineered and built to deliver superlative performance in all conditions in return for low specific fuel consumption figures. A high pressure fuel injection system, with an injection pressure of 1400 bar, keeps emissions well below the limits required by Euro III regulations. Short, equal length injection lines ensure extremely rapid injection times for all cylinders. All engines use hydraulic tappets for injection timing management (HRT system). These engines are calibrated for low speed operation which, as well as reducing noise levels, also reduces mechanical stress and wear and minimises vibration. A 70 litre fuel tank keeps these tractors working for hours without fuelling stops. The most distinctive characteristic of the forced lubrication transmissions offered with JOKER tractors is their extraordinary simplicity of use. 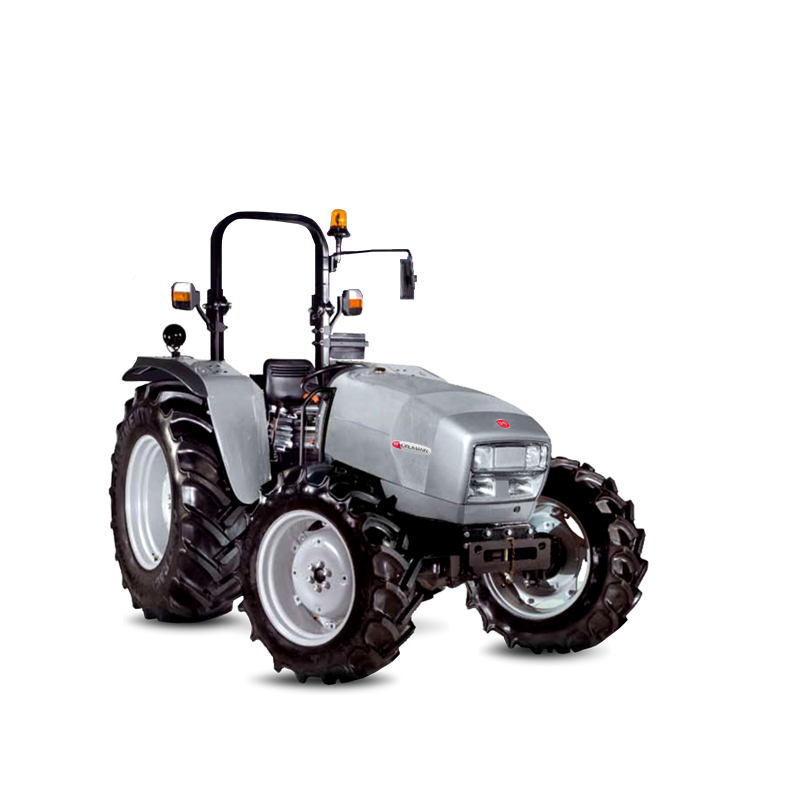 These tractors are equipped with a mechanical transmission with ideally spaced ratios, with a synchromesh gearbox offering a choice of 12 forward speeds and 3 reverse speeds, for a top speed of 30 Km/h, and a mechanical reverse shuttle. Hydraulic wet disc brakes on all four wheels ensure ready, dependable stopping power even at higher speeds and under heavy loads - with potent, progressive braking available with just a light touch on the pedal. Impressive ground clearance combined with ideal weight distribution and an effective front wheel drive system - selectable with the lever to the left of the driver seat - ensure outstanding productivity even when working with heavy implements. The hydraulic system has a 33 l/min pump and two/four way auxiliary distributors. The mechanically controlled rear lift features position, draft, floating and mixed control modes, while the sturdy construction of the three point linkage gives it a load capacity of up to 3000 Kg, making it possible to use a wide variety of implements. What's more, the hydrostatic steering system has its own independent pump to ensure light, smooth steering action in all situations, for maximum productivity even at low engine speeds. The PTO offers two speed modes: 540 and 540ECO. Creative flair - which brings function and design together in perfect harmony - is a crucial factor in the impressive productivity of JOKER tractors. A closer look at the contours of the cowl, the design of the lights and in the features of the driver zone reveals an extraordinary attention to detail and style that makes these tractors much more than merely functional. Adding to the comfort of the driver zone are the under-platform exhaust, suspended pedals and ergonomic layout of the levers at the sides of the driver. Boasting clearly legible instruments, the instrument cluster offers the driver all the information needed to control the tractor effectively.